So, you’ve sportived your way around the country, you’ve Dragoned and Etaped until your legs are tired and your heart’s content. You’ve Marmoted and Fondo’d in three languages. For your next trick, then, how about road racing? I say this because I know you want to. You pretend that sportives are races, you pretend that you’re racing when you train. So do it. Road races are likely to be shorter and faster than anything you have done before. Your initial perception will be that the race is going to be fast, but what you might not be prepared for is the continual sprinting out of turns. Over the course of a race this will take its toll on you, and even the best sprinter can feel drained when the final mad dash to the line starts. One moment you might be thinking, this isn’t so bad, the next you’re hanging on for dear life. That’s why it’s fun! In a sportive there is no pressure to stay with one group or another, to accelerate, to drive hard over climbs and such. You’ll be experiencing this while riding at speed in a bunch, cornering a few centimetres from other riders, and wondering how much more pain you can tolerate, before tolerating some more. Let’s tackle the fitness aspects. If you’ve tackled a fair few sportives your endurance will be fine, in that you can ride for an hour and a half. So the focus needs to shift away from steady long rides to the aspects of fitness that will allow you to do that 90 minutes or so at speed, with pretty continuous needs to accelerate and sprint. I’m going to suggest three interval sessions. You can cut your steady state endurance rides down to make room for the time and effort required. Find a little circuit a mile or so long with three or four corners. Ride at a comfortable pace, take the corners quite slowly then sprint out of them hard for 5 seconds or so, before dropping the pace just a little for 10 seconds, then ease back to the comfortable pace. Note that most road races are left turn only. 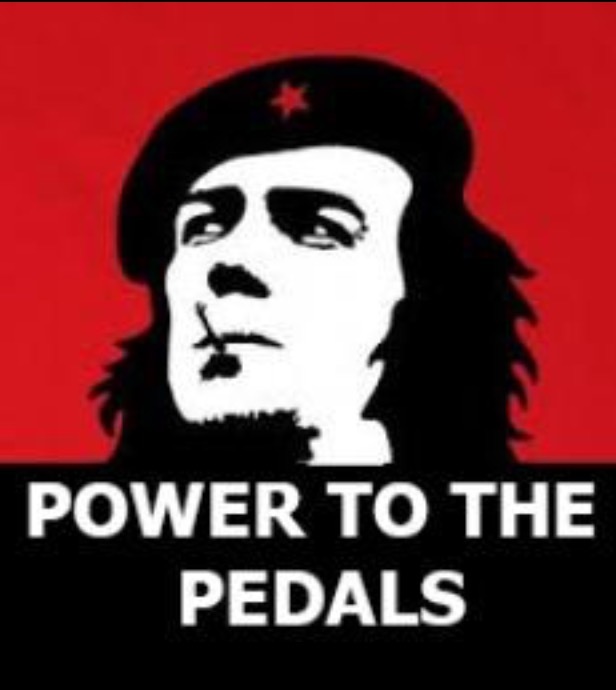 Ride at a high pace that is barely tolerable for 30 seconds, then accelerate hard and sustain the effort for 30 seconds. Ease up and drift back to just a little below the first pace for 30 seconds, then 60 seconds seconds at the base. So you’re in effect drifting from hard, to very hard, hardish, easy, and back up through. Do this until you hate me. There will be times when the pace seems plain stupid. Get used to it by nailing yourself to the saddle for 3-4 minutes at a time – as if you’re running late for a 10-mile TT. Ride easily for 3 minutes, then go again. Do between four and eight of these efforts. This is almost enough to prepare you for those moments when you look down and you’re doing 38mph on the flat. Pin your number on so it’s not acting like a small parachute. Putting your jersey on back to front is a good way to pin a number on while the jersey is tight. Stabbing your belly in the process doesn’t hurt that much. Remember to put it back the right way before the race. Learn to take your bottle from the cage and drink and return it to the cage without looking. Use your right hand to do this because if you use the left and have to brake suddenly you may well take a trip over the handlebar. Put a little sticker on your bar saying ‘drink’. It’s easy to forget when you’re chewing the stem for 30 miles. Generally the pace will calm after 10-15 minutes and you may even get back onto the bunch! The pace does not slow over the top of hills, so get ready to accelerate when you want to recover – do this often enough in training and it’s less hideous in a race. Don’t be afraid to shout and know what other shouts mean. Hole left, hold your line, car down, and so on – communicate what’s going on. No one wants to crash into you. They might be rubbing your arse with their brake hood but that’s not an attempt to tip you off, so relax, ride smoothly and breathe big deep breaths. Don’t cause other riders to panic: hold your line in turns, don’t buzz their rear tyre and don’t swerve for every ripple in the road. Do not assume that you’re not at the back of the bunch – it’s easy to let a few riders slip past and think you still have a few behind you. Then a wheel is let go and before you know it you’re riding solo on a hiding to nothing. Do NOT ask me how I know that this could happen at least twice this season . Overlapping wheels happens, so just be aware that if the rider in front gets out of the saddle, their wheel will come back and also tilt. If you get dropped, keep chipping away. You can join other riders, the bunch may pause for a while and you could get back on. Plus it’s good training. If you know for a fact that you don’t have a decent sprint, stay away from the final sprint or you’ll be going backwards at 22mph as others are going forward at 39mph – the cause of numerous crashes. Don’t be afraid to get stuck in and see if you can animate the race, but bear in mind you only have so many matches to burn. If you want to move up the bunch, do it on the outside (right hand side), or very politely on the inside, but don’t expect to be given space. Don’t ride on the front if you’re going to fade after 20 minutes – no one will remember it and it certainly won’t be seen as a show of strength. Beware of riders in teeny ankle socks. Beware that after feeling your way in a few road races you may never wish to ride a sportive again. Obviously Dave knows what he's talking about but I wonder whether anyone should just rock up and race if they have no previous experience of big group riding? TLI in particular is plagued with sportive riders who have never ridden in a close group and cause all sorts of accidents - some serious. Wheel touching and over-cooking corners and cutting into the pack are the most common mistakes. Club riders call them 'crash magnets' and although cycle racing welcomes fresh blood it doesn't welcome it all over the road. After riding for 15 years solo of with one or two mates I joined a club. It wasn't for the tea and cakes but to gain experience from people who had been racing for years. You soon learn how to hold your line and soft pedal rather than brake. I started doing chainies and when I was good enough at handling group riding at speed I started racing. If you want to race safely I would suggest you join a club too. Fair point, and worth making, though the article was aimed at riders who have most likely been at the pointy end of sportives, which in my experience usually involves some club riders and small groups. But I know what you mean having seen some shocking riding this season. It would be a great shame if the boom in cycling only resulted in ever bigger sportive fields. Racing is the next step and this article is very useful. Useful and interesting article. I think you've captured the thoughts of lots of decent sportive riders out there, but one of the concerns people might have is crashing when in a racing bunch. I know it's something that puts me off..
How often do crashes happen, really? I've seen 5 crashes all year, three slow on climbs with wheels touching, one guy sliding out at speed in the wet and one in a fast sprint. That's in a lot of fast miles, with some in a peloton of 120. It certainly happens but I wouldn't let it put you off. That's good to know, as it's the one thing putting me off having a go. It's not the personal injury which worries me as much as the expensive damage to my bike! Onus should also be on organisers/promoters to restrict numbers. 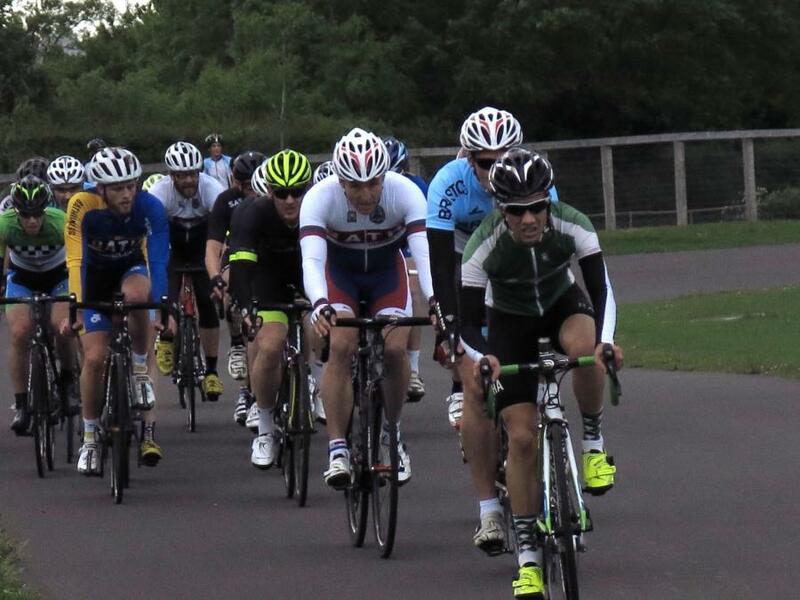 Velopark, 68 riders in 1 race-what's the point? Ah yes, the carbon graveyard. "Beware of riders in teeny ankle socks"
The first race I joined was a cat 4/3 closed road town centre criterium at a local cycling festival, in front of crowds. But yes, although I was a reasonable 10 mile TTer, the constant maximum accelerations were tough when I was already near my limit, and I did not train that aspect enough. No training can prepare you for the closeness of other riders going into corners other than just more racing I guess. I soon realised that no-one actually wanted to run into me, so as long as I did not do anything daft it was fine. Enjoyable read. All going well I'm gonna get stuck in this season in Ireland A4. My concern is not crashing though its equipment. I'm on a Trek Domane AL3 2018 Alluminium. Sora 9 Speed and Trek stock wheels. Too broke to upgrade just now. I'm fit enough but worried that the pace on heavy bike will be my dropping... maybe not. I also like the phrase 'if you can't replace it don't race it' so if I do go crashing out at some point my bike is not a big concern. Any thoughts on the minimum spec for a A4/Cat4. I expect its pretty similiar in the UK tro here. Any race bike is fine. Much, much bigger affect on race outcome (other than fitness) is positioning (being on the right wheels, not being in the wind), knowing how to spend your efforts and perhaps being part of team plan. Also good position on the bike, to get aero when your really need it, and ability\knowledge to use it. 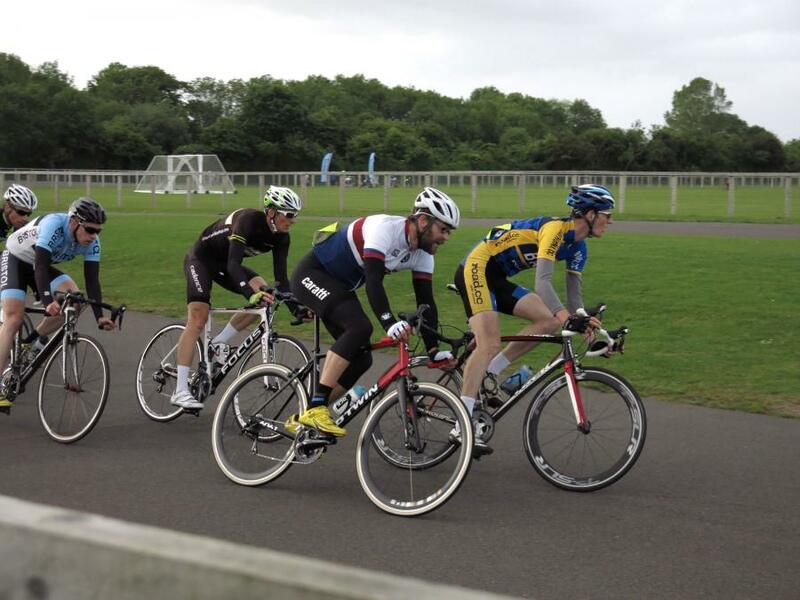 Bike handling in technical races\crits has a massive impact on effort levels and therefore results. The list of other things that are more important really is endless and unless your contesting the win by a wheel then level of equipment just really doesnt make that much difference compared to all those other things. Got most of those other things right and then yeah, you can start worrying about the spec of the bike.